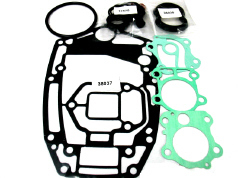 Lower unit seals and gaskets 2 to 275 hp. 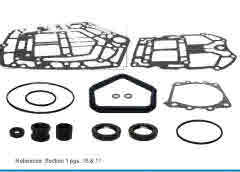 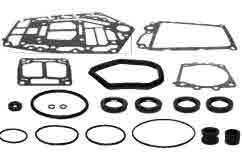 Seal kits listed below require the use of gasket sealing compound, we use OMC Evinrude/Johnson gasket sealing compound part number is 508235. 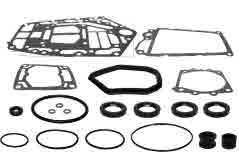 Gaskets are best per-coated 24 hr before using and again just before installation this allows gasket to absorb compound for better seal on a damaged or scratched surface area. 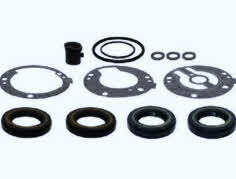 O ring require gasket sealing compound as well at time of application. 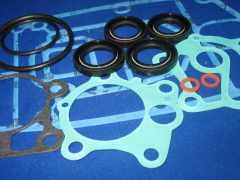 Older lower unit gear-case will need oil seal area wire brushed then a coating of 680 Loctite applied to seal and retainer area. 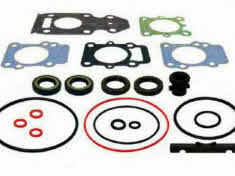 Please note: This is not an exact replacement kit. 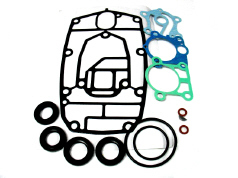 We have improved our kit by omitting gaskets not necessary to seal the lower unit. 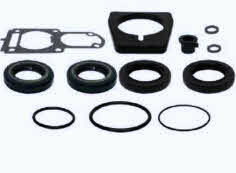 This kit is designed specifically to seal the lower units on all 9.9 or 15 hp. 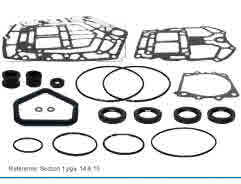 OEM numbers for model reference only.